The magazine was launched today (6 October 2018) at the Global Wellness Summit in Italy. Leisure Media has established a new company, called Well Media Global, to manage the magazine and its website www.wellhomeglobal.com. The business will trade as Well Media. Commenting on the launch, CEO of Leisure Media and Well Media, Liz Terry said: “The spa and wellness industry has done such an amazing job of converting consumers to a wellness lifestyle, that occasional trips to the spa or the gym are no longer enough. “More and more people are starting to build wellness into their everyday lives, using their home as a base, with homes starting to have a wide range of wellness features, from swimming pools and yoga studios, to circadian lighting and water and air filtration. Terry said Well Home will be distributed to wellness consumers directly through spas and wellness facilities, with a number of key contacts already agreed. She invited operators to sign up as partners to distribute Well Home as a free benefit for their customers and also to take advantage of marketing exposure in the magazine and on its website, saying “We want to partner with the industry we love to create a global tribe of wellness consumers around the Well Home brand. 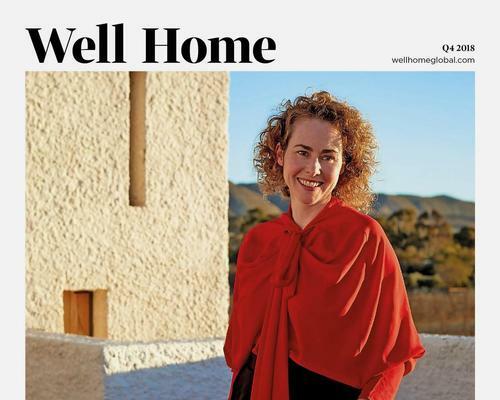 In addition to covering home wellness, Well Home magazine also has a section called ’Well Home Away from Home’, which covers the latest news from resorts and spas. Terry said: “People living a well life want wellness built into their day to day lives and then when they go on holiday/vacation, they want this to continue, so this will all also be celebrated in Well Home. The strap line for the magazine is ‘Inspiring a Well Life’. “We’ve put a lot of love into this launch and we’re looking forward to playing a part in spreading the word about wellness to consumers all around the world,” said Terry.